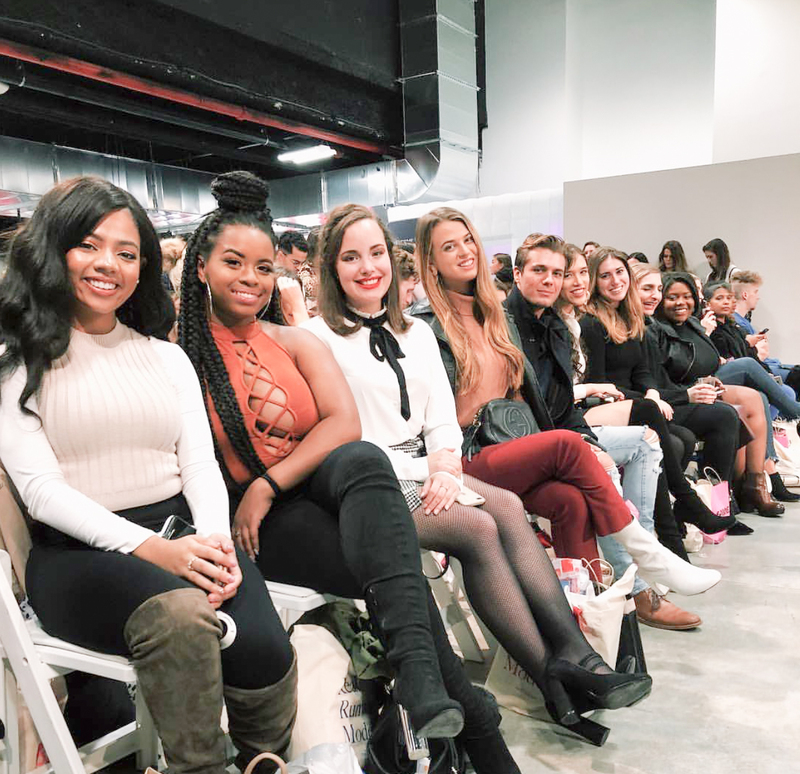 A few weeks ago, I was invited to attend Her Campus’ College Fashion Week in New York City for a partnership with Ulta Beauty. If you know me at all, you’ll know that I LOVE cities. There’s just something about the hustle and bustle of cities that make me want to stay awake forever. So of course, I had to accept and find my way to New York. 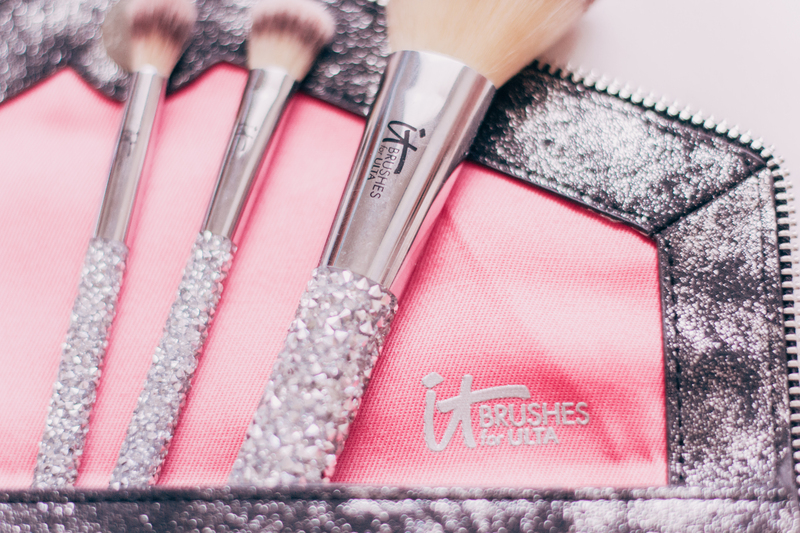 I have always loved Ulta Beauty stores since they *literally* offer all things beauty, all in one place. 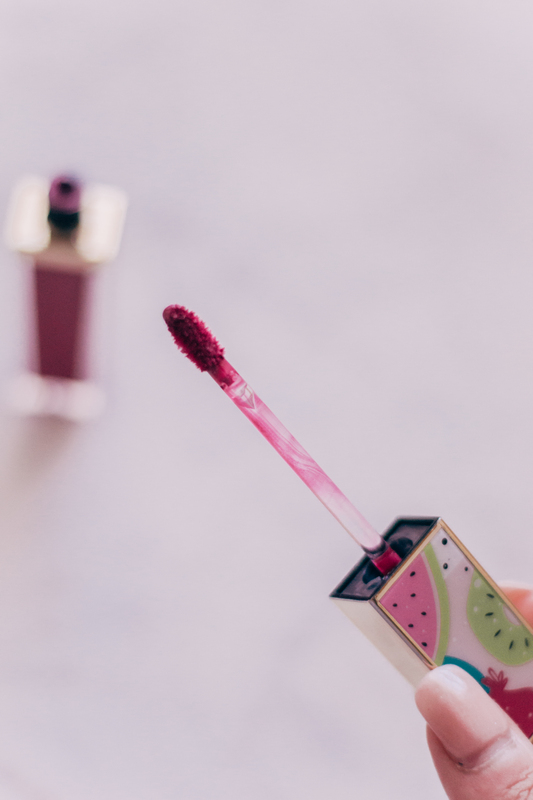 Since they’re the largest beauty retailer in the U.S., you can find all sorts of products in their stores including cosmetics, skincare, hair care, & fragrances. They even have a full salon in each store with hair, skin, brow and makeup services- perfect for those times you want to glam yourself up without the hassle of trying to figure it out yourself. 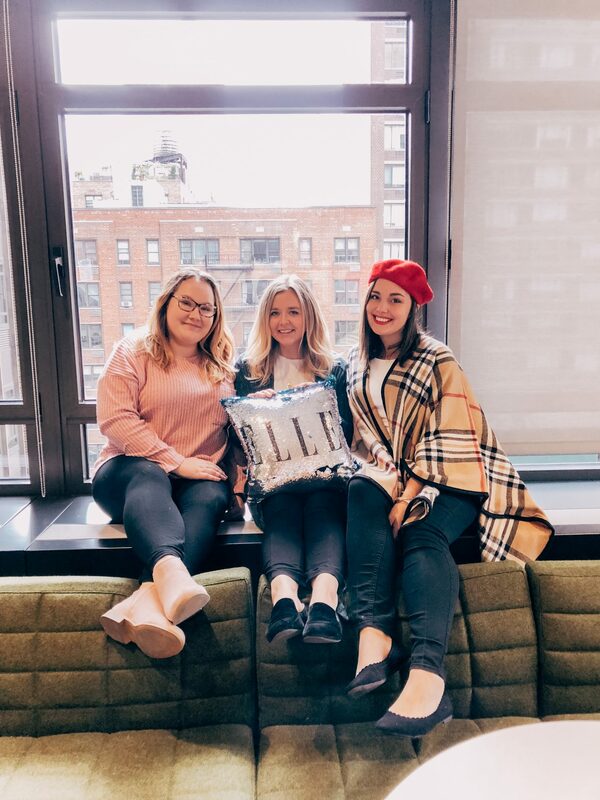 Before I went to New York, Ulta Beauty pampered me and sent me a package full of amaaaazing products to complete my look for College Fashion Week! 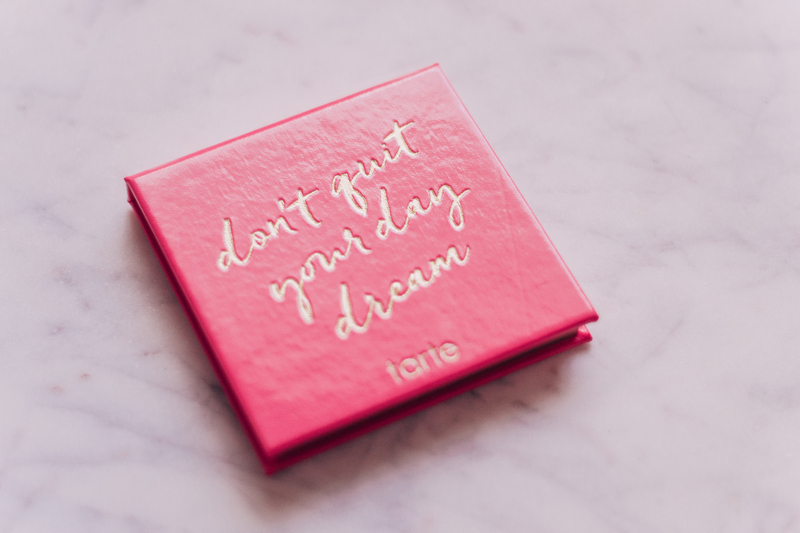 I’m going to share them with you in hopes that they help add to your own collection of beauty must-haves. 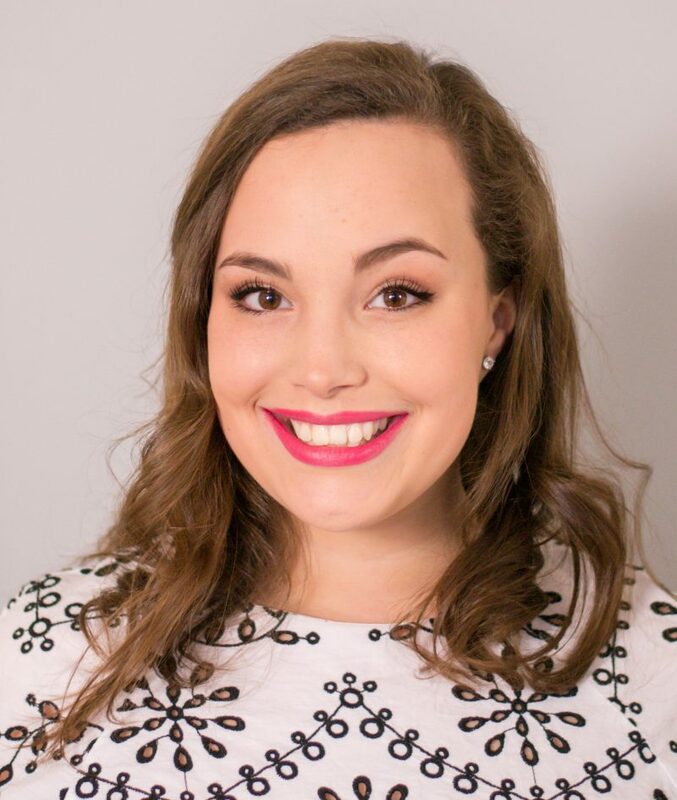 If you know me, you’ll know that mascara is my go-to makeup product. I’m not one for wearing a full face of makeup every single day, so mascara is the one essential I can’t go without. I feel like a few coats of mascara can make my exhaustion instantly disappear. While I’ve had a few mascaras that have become essential to my everyday routine, this mascara from NARS had me addicted from the first coat. 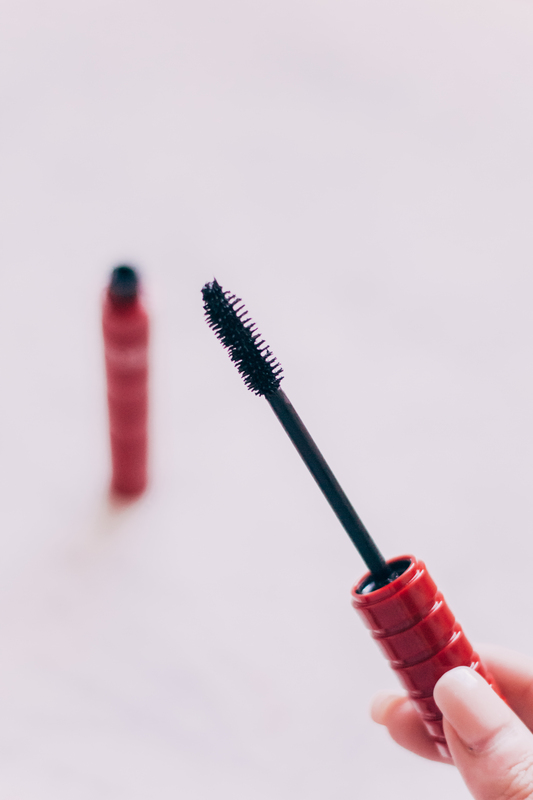 My favorite thing about this mascara is that you can build on top of each coat and achieve whichever look you’re going for (casual, glam, in-between, etc.)! 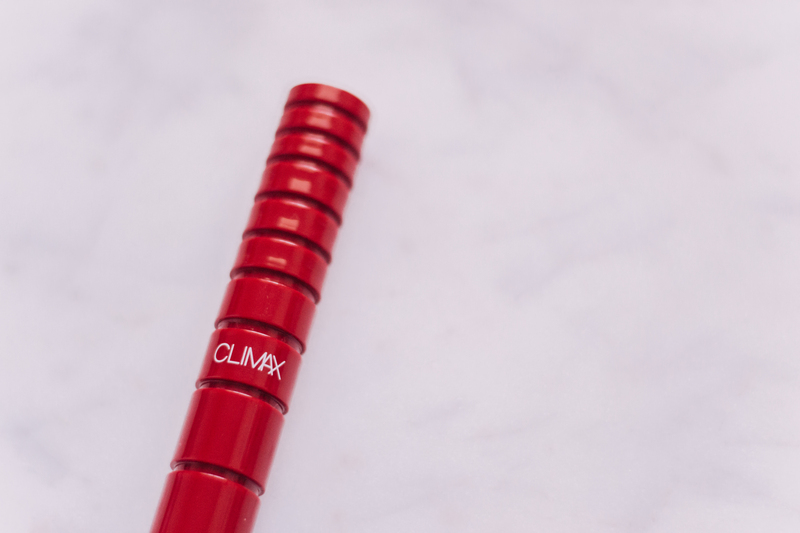 And the best part is… it DOESN’T CLUMP! SERIOUSLY. 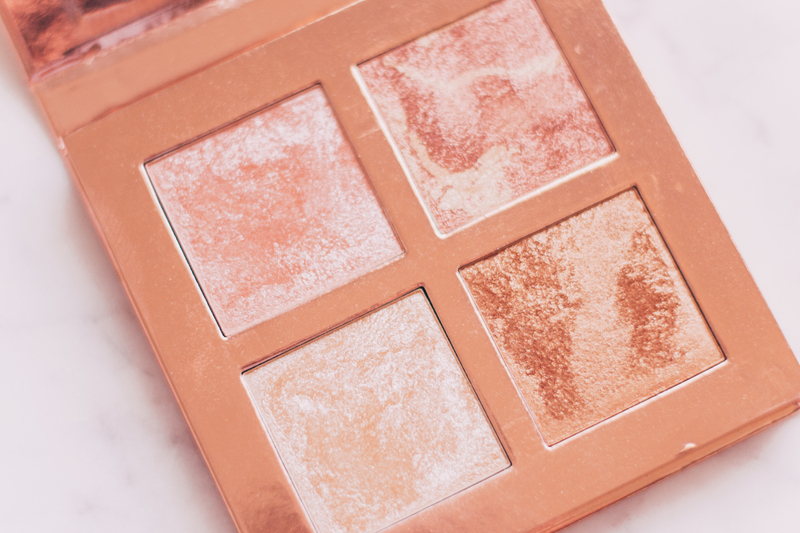 This highlighter palette is one of my favorite items that Ulta sent me! It is absolutely GORGEOUS (if you couldn’t tell from the excessive pics I took of it). 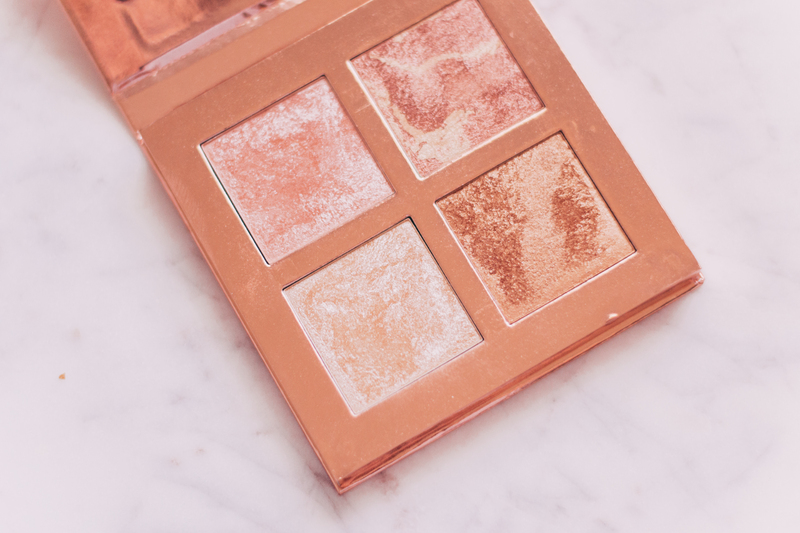 All four shades are super shimmery and pigmented. 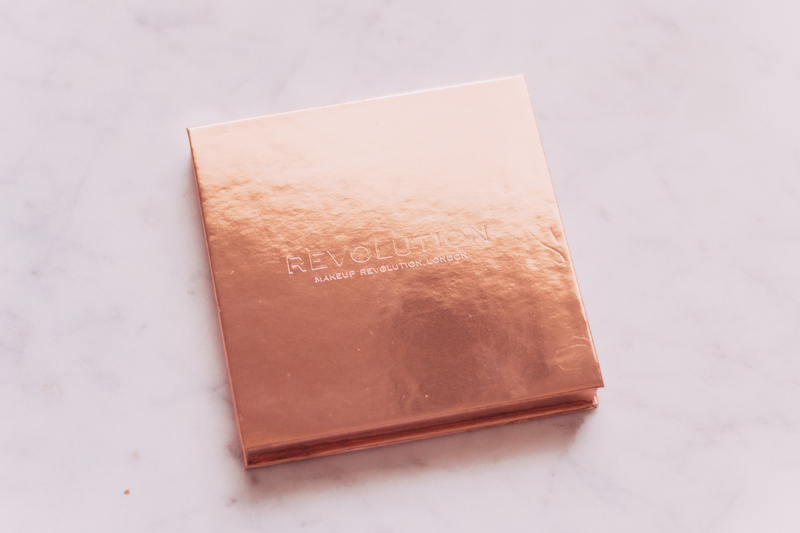 At $15, this is one of the BEST dupes for the ABH highlights!! 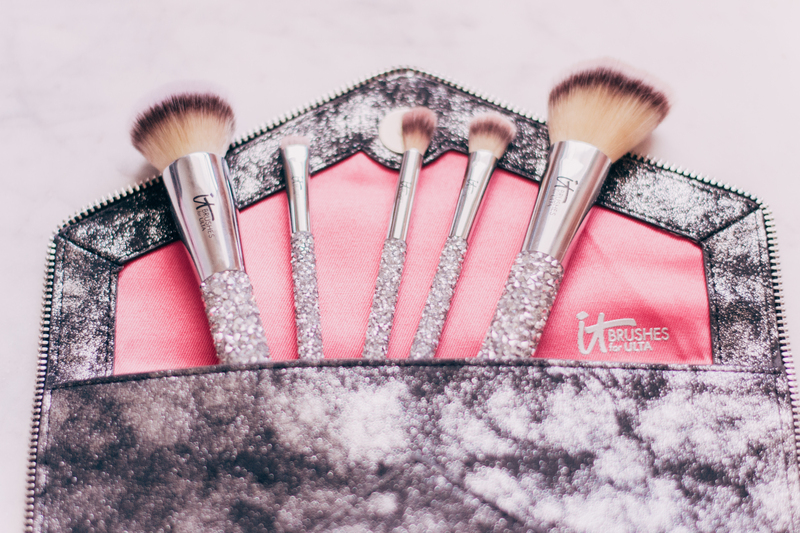 Ironically enough, I was actually looking for a new set of brushes when I received this gorgeous brush set from IT Cosmetics. 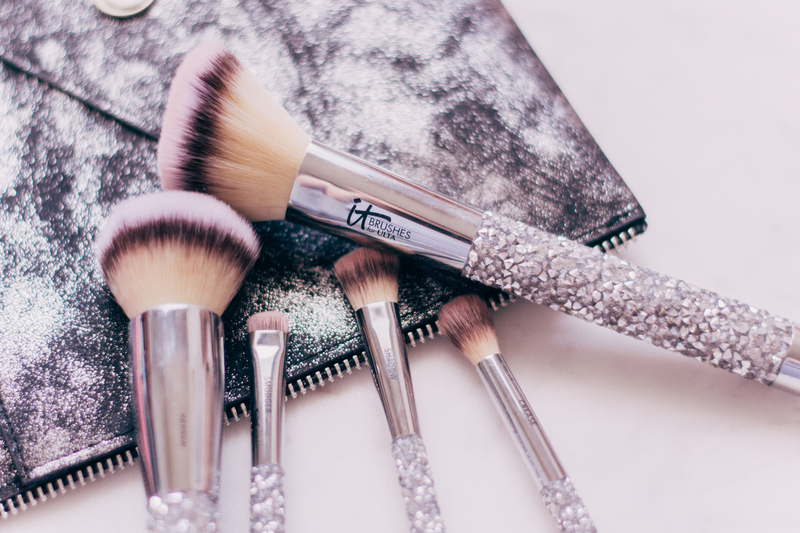 The brushes are sooooo soft and the silver crystals on the handle make me feel 100x more extra as I apply my makeup. They also came in a little clutch, perfect for storing and protecting these *literal* gems from harm. First of all, you all KNOW I love inspiring quotes. 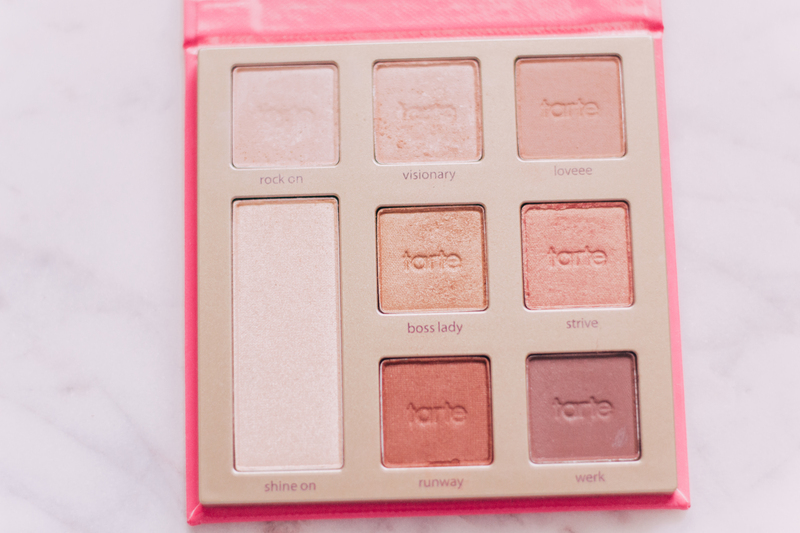 So when I opened up this Tarte eyeshadow palette, I verbally squealed. 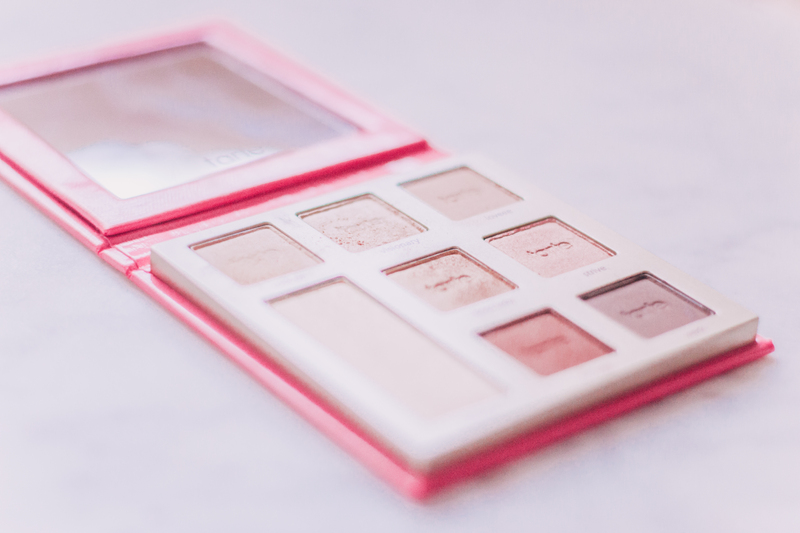 Second of all, the shades are warm-toned, shimmery, and they smell SO GOOD. 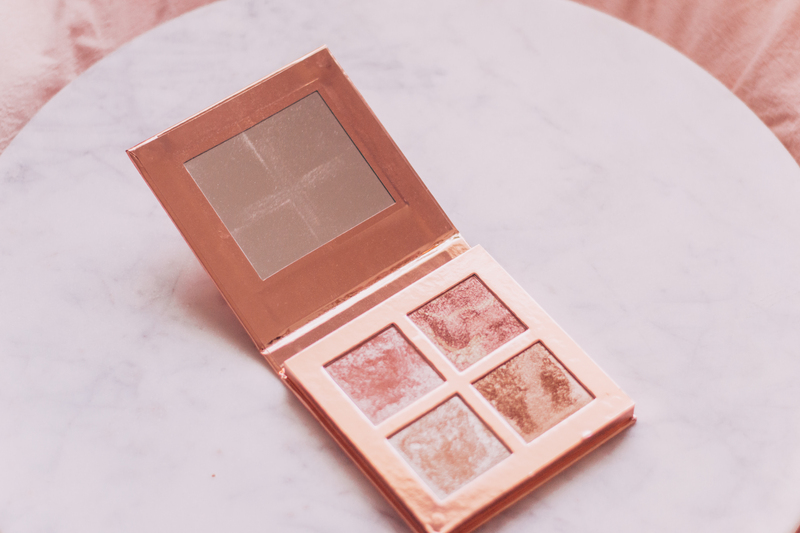 I also love how compact this palette is; I even added it to my work bag for those days when I don’t have time to do my makeup at home. 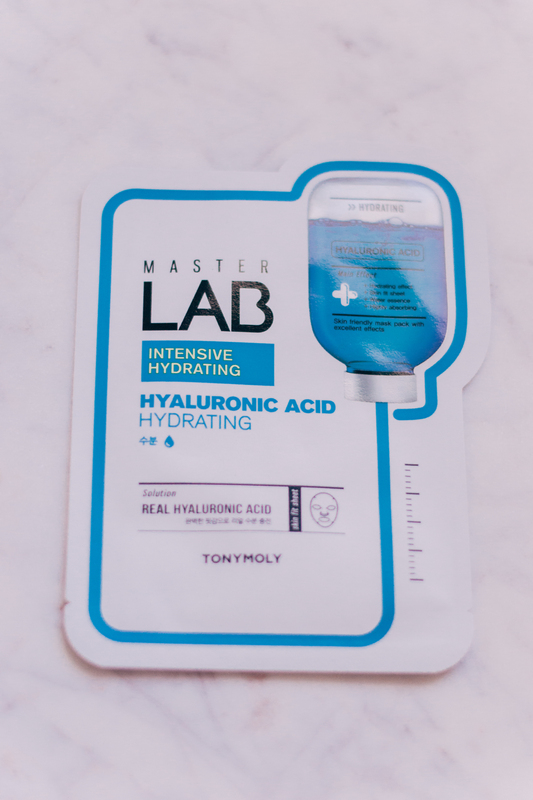 I still haven’t used this mask (saving it for a day that my skin *needs* hydration), but from the reviews alone, supposedly this Hyaluronic Acid mask does wonders for dehydrated skin and uneven skin tone. I’m super excited to treat myself with this mask soon! This MAC setting spray in all its Insta worthy ~glow~ is amazing, hydrating, and refreshing- everything I look for in a setting spray. 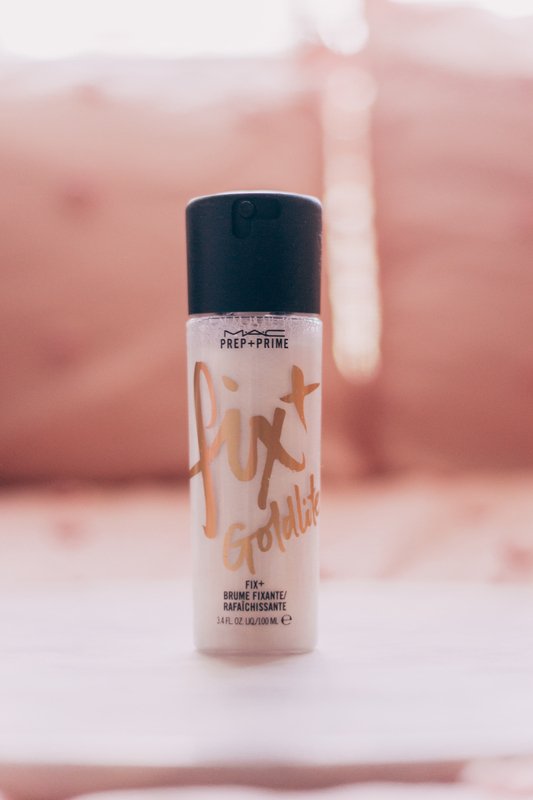 Although it looks like liquid gold in the bottle, when you mist it on, it gives a more subtle effect and makes your skin look seriously radiant. 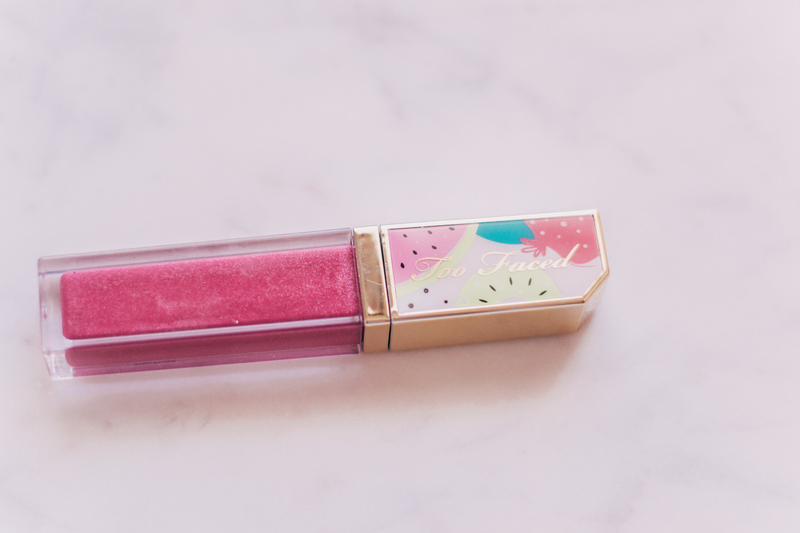 For whatever reason, tutti frutti scented products give me a HUGE wave of nostalgia- so I was super excited to open up this Too Faced lip gloss. I do wish I had gotten a more neutral toned color in my package, but the fuschia pink is helping me step out of my comfort zone when it comes to makeup looks.